March 11th is National Nap Day. Coming right on the heels of Daylight Saving Time, this fun holiday encourages people to take a much needed nap, wherever they may be. After losing an hour to Daylight Saving, it’s extra important to make the most out of the sleep time we still have left. On March 11th, I invite to take a nap on a Hästens bed. Please visit one of Hästens’ premier showrooms for an authentic Swedish snooze. You deserve it! Hästens’ custom, handmade beds are created from only the finest, all-natural, sustainable materials like horsehair, flax, Swedish pine, premium cotton, and wool—exquisitely layered by master craftsmen for the most comfortable, breathable, supportive sleep surface. 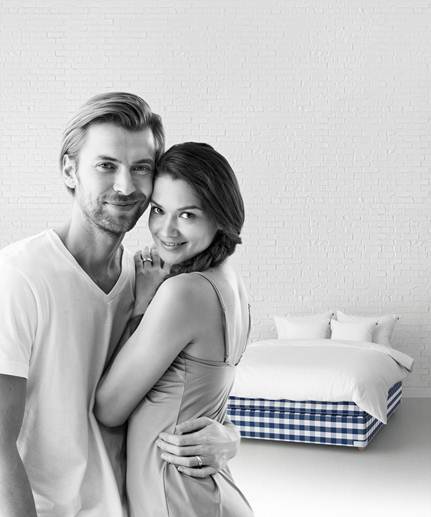 From European elite to Hollywood royalty, Hästens beds are the perfect choice for a superlative night’s rest.